Statistics from the National Highway Traffic Safety Administration show that approximately 30,196 people were killed during motor vehicle accidents in 2010. Most automobile accident vary in severity, and it is common for fatalities to occur in the more severe accidents, still, there are a number of concerns Arizona residence should be aware of. While roadways continue to become more populated, drivers need to continue to pay attention to possible hazards and risks that exist. Every year, millions of individuals suffer from head injuries. Automobile accidents are the leading cause of head injuries in the United States, 28 percent of the time resulting in traumatic brain injuries. When any form of trauma occurs to the head, it is a concern due to the limited protection offered by the skull. Thus, concussion injuries are the most popular outcome of automobile accidents today. A concussion is defined as a type of brain injury generally caused by a blow to the head altering the manner in which the brain functions. The most common form of brain injury is known as a traumatic brain injury. Typically, persons suffering from a concussion will temporarily lose consciousness or awareness for some time. However, these symptoms will often vary depending on the severity and force of the impact. If you or a loved one has been injured in a Phoenix car accident, resulting in a concussion injury, it is imperative to have an experienced personal injury attorney at your side. The auto injury attorneys at Philips Law Group have several years of experience to help you successfully prepare and litigate your auto accident claim. 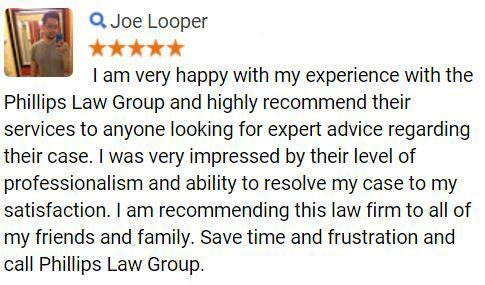 To learn more, complete the Free Case Review form today Its 100% FREE. By far, the leading cause of concussion injuries are a result of auto accidents. Concussions are often caused by a sudden blow to the head due to collisions. Imagine you are traveling at 50 miles per hour and are struck by another vehicle stopping your car dead in its tracks. As a result, your brain continues to travel 50 miles per hour squishing into your skull. This type of accident is tough to avoid and typically happens in an instant, often resulting in brain trauma. Although the skull, cerebral spinal fluid, and blood brain barrier are meant to protect the brain against daily bumps and jolts, it is not equipped to handle the forceful blow associated with an automobile accident. If you or a loved one has been involved in an automobile accident and is experiencing concussion like symptoms, you may be entitled to compensation for medical expenses, lost wages, pain and suffering, and any other costs associated with the accident. Phillips Law Group believes that when the negligence of another individual causes injury or harm to an innocent person, that individual must pay for the damages they have caused. Complete the "Free Case Review" on this page to learn more. In the United States, 250,000 people each year require hospitalization due to head injuries received from an accident, this accounts for half of the head injury hospital visits. As these statistics continue to increase, Arizona residence must begin adjusting their driving habits to prevent further injuries from happening. There are many signs and symptoms associated with concussion injuries, and being aware of these signs and symptoms is crucial in a time of need. These injuries can often result in more serious health conditions if not treated correctly. Inevitably, everyone who has been involved in an auto accident in Arizona should seek medical attention immediately. We must recognize that all signs and symptoms of a concussion may not appear immediately. Some signs of a concussion may surface days after the accident has occurred. On the contrary, many post-concussion syndromes can last for weeks or months following a concussion. Thus, it is imperative to seek medical attention immediately following an accident. After visiting a doctor or emergency room, it would be wise to seek the advice from an experienced legal professional, prior to speaking with any insurance agency. Many times insurance agencies and other parties involved will attempt to settle with accident victims. 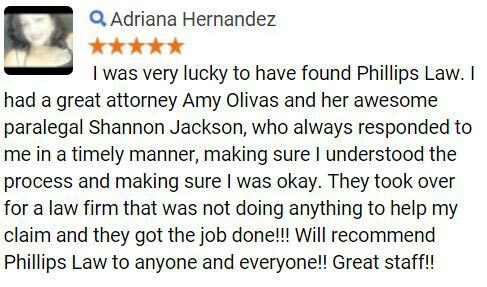 When this is the case, contact Philips Law Group to receive a thorough analysis of your case and review all available options. Start today by filling out the Free Case Review form on this page Its FREE. 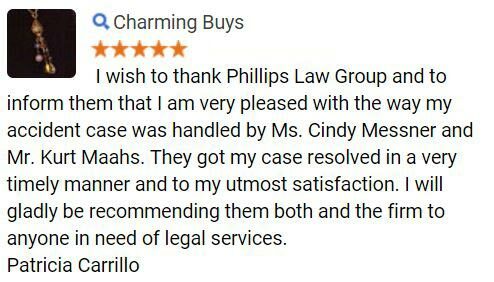 Philips Law Group has spent years building its strong reputation which exists throughout the state of Arizona. Therefore, we believe it is our responsibility to protect the rights of all Arizona residence. Our team of legal professionals work relentlessly to build cases that place our clients in a position to win the maximum compensation applicable during personal injury claims. If you or someone you love has suffered a concussion injury following an automobile accident, Philips Law Group is prepared to take your case today. 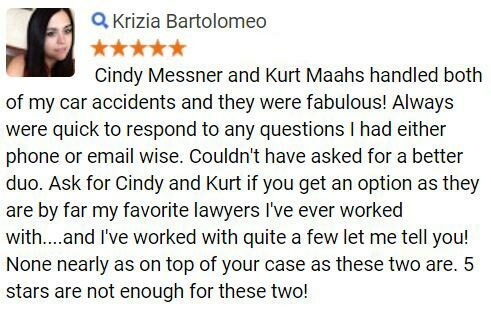 With our combined experience, knowledge, and passion for the law, a personal injury lawyer from our firm can represent the citizens of Arizona in the highest qualified way. Contact us at (602) 258-8888 today. Alternatively, fill out the Free Case Review to get started now Its 100% FREE.